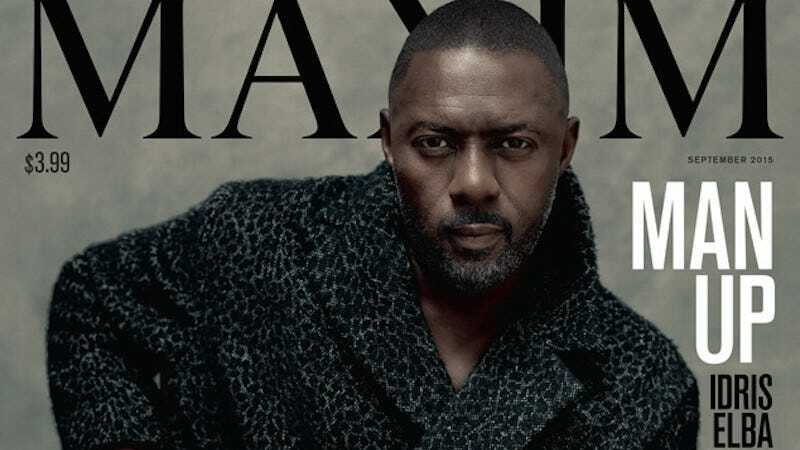 Idris Elba has the honor of being the first man ever on the cover of Maxim. The actor and his lustful stare are currently featured on the mag’s September issue. Nice coat. It looks like there’s room for two.